I was born on the Prairies, but spent most of my growing up years in the Yukon, on the outskirts of Dawson City, a tiny, touristy gold mining town of 1800 people, on Tr'ondëk Hwëch'in territory. While growing up, I didn’t even know that other Canadians would take flashlights camping with them, because we would set up our tents under the lights of the midnight sun. My family is of Russian Mennonite heritage, so despite the lack of other Mennonites in our tiny town, I grew up hearing about our history from the Protestant Reformation to conscientious objection to migration throughout Europe to current life in Canada. It wasn’t, however, until I went to university that I started connecting with my family’s story and faith heritage. While at university, I became connected with an international disaster relief organization called the Mennonite Central Committee (MCC), an organization that was actually started to support Mennonite refugees fleeing Russia, and which has since expanded to engage in work in peace, disaster relief, and development in over 60 countries. It was also at university that I become connected with MCC’s Seed program. Seed is a two-year program for young adults between 20 and 30 years old, and operates with a cohort model. The program has an emphasis on learning, service and peacebuilding. Participants live and work in local communities, supporting local projects, while meeting together throughout the two years to discuss issues such as food security, development, and religion and peacebuilding, among others. I lived and worked for two years in the displaced Afro-Colombian community of Mampujan, which is located on Colombia’s Caribbean coast. Shortly after I arrived, the women’s quilting project - community women gathered to quilt as a form of trauma healing – had been granted, via a Colombia Tribunal order, reparations for the damages suffered due to conflict and displacement after the arrival of an armed group in their community. The two years that I lived in the community, therefore, were full of advocacy actions and meetings to attempt to pressure the State to actually fulfill the court order. In my second month in Mampujan, the community decided to nonviolently march to their provincial capital of Cartagena, about 72 kilometers away, to draw attention to the lack of reparations. It was a powerful and challenging few days of putting one foot in front of the other, collectively, and also trying to simply figure out what was going on, as I wrestled with culture shock along with all the adrenaline and exhaustion. It was a literal exercise in learning how to walk alongside, one actual step at a time. The act of being human and living on this earth means that we all fundamentally belong and that we each bring something important. I elected to stay in Colombia beyond my initial two-year commitment to Seed, and have since transitioned to a new role, serving with MCC as the Latin American advocacy and context analyst, out of the office of their partner Justapaz. In Latin America in general, the large majority of the population identifies as Christian. Catholicism has historically been dominant, but there has been a recent grown in Protestant churches, especially Pentecostal. It is very normal for taxi drivers or random strangers to ask me about faith or assume that I participate in a church. One way that the organizations I accompany work is the intentional recognition of a shared faith language. In almost every community, no matter how small, there is a church reading a Bible full of messages about reconciliation, creation care, peace, and hospitality. In politically polarized situations, it can be very helpful to point to Biblical language in a way that encourages alternative solutions and thought, using a common faith identity. Across Latin America, Anabaptist churches have developed a theology of social justice based on reading the Bible in their specific context. When it comes to advocacy, churches and church-based organizations are able to act in a unique way because their standpoints are based on theology as opposed to ideology. While theologically-shaped faith commitments can and do shape and inform political positions, we have found that the political advocacy positions emerging from the Colombian Mennonite church context have a qualitatively different feel than other forms of political advocacy: the fundamental agenda is the transformation of social situations based on Biblical beliefs, not partisan allegiances. 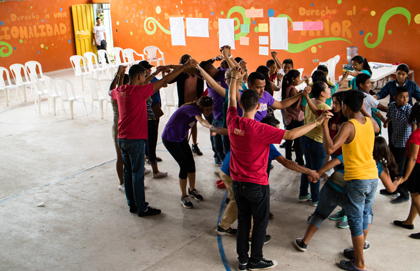 Colombian Mennonite churches seek to understand root causes, and work in a nonviolent way to bring about social change that is not rooted in the political power plays that are the norm in Colombia. This stance gives the Colombian Mennonite churches a unique voice in the country’s polarized political climate and enable them to speak for peace, whether or not peace is popular. 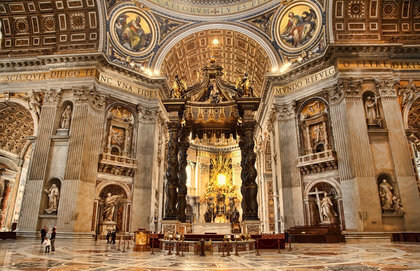 Of course, that doesn’t mean that the church is perfect, but it does recognize that all theology and belief systems have an impact on the public sphere, whether a theology of peace or of violence. My time away from Canada, and the country and culture that I call home, have challenged my notions of faith and belonging. I fit none of the normal characteristics of “belonging” in Colombia. I am not married. I have no Colombian children. I’m not a native Spanish speaker. Nor do I have any of the other obvious traits that would mark living here as normal or expected. But there are tiny things that, for me, have marked my time here, and that question our normal assumptions around belonging. Does belonging mean an ability to speak a common language? To be emotionally moved my events? To feel like you have friends? Familiarity with a place? An actual stamp in a passport? The act of being human and living on this earth means that we all fundamentally belong and that we each bring something important. We need each other in order to fully belong. For me, therefore, it is important to examine the structures that hinder full participation. Who are the people on the outskirts? My time in Latin America has taught me that the everyday, ordinary acts of living are actually powerful gestures of faith. From cooking food to writing an email to leading a nonviolent march, these are the acts that reveal a deep faith that things can be different and that we are committed to working together for change, through all the ordinary, profound moments. These are the actions of worship that have shaped my own faith, as I examine what the activities I am involved in reveal about my own beliefs about the world. Do I believe in abundance or scarcity? Hospitality or closed borders? Is it an act of faith to work towards a world with enough for everyone? In truth, I see that belief played out everyday. In November, I sat in a tiny Catholic church just across the Mexican border in a town called Salto de Agua listening to Sister Kati tell us about the thousand migrants on their way north from Central America. The new parish priest passed a photo around our group.